Ever since my second was born I have been trying to go as chemical free as possible. We use Norwex for cleaning cloths and Method for everything else. My husband calls me crazy and says it’s not necessary, but I do it anyways. There are so many unknown chemicals put into everything now days. The least I can do for my children is try and make their home semi safe in that aspect. I’ve always known about organic cleaners. Then Baby, Go Green came into my life and I realized how much I have been missing out on! Debi, the wonderful owner of Baby, Go Green, has made a one stop shop for everything organic baby related. I am not going to lie when I first browsed her site I was in search of one item and went straight to the clothes to find it. I didn’t even notice all the other amazing items on her site until I went back the next day to browse more. She carries all the most amazing organic brands that you can find on the market. I am going to be in heaven when I have my next baby! Anything you can think of for your little she probably has! So spend some time on her site, check everything out, browse, and visit her on her IG and show her some love! I hope you enjoy the site and getting to know Debi a little more! It’s been a long time in the making actually! 🙂 The actual business idea for an organic baby and kids store was thought of about 5 years ago. While researching online for my baby registery items (I was pregnant with my 3rd baby, 1st son) I ran across organic cotton and bamboo baby clothing. I was thrilled to learn these actually existed! I had been buying organic food and skin care for over 10 years at that point but didn’t know about organic clothing. It particularly struck a nerve with me because I had lost a precious baby boy at 5 months pregnant after being exposed to toxic insecticides. So I couldn’t help but think of all the farming families and their future children whose health was being protected by having others support their NON-GMO, pesticide free organic farming practices. 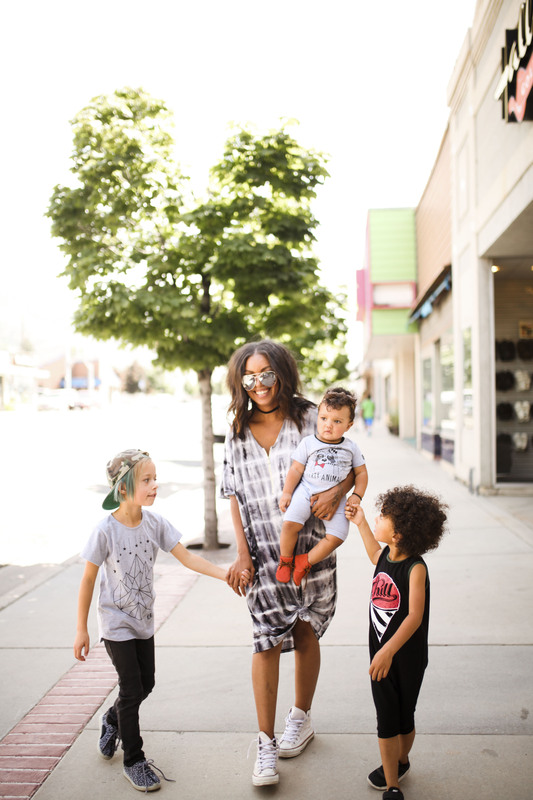 And of course I loved the idea as well of my babies wearing soft and toxin-free clothing! Well, first and foremost I look for organic cotton products. Then I narrow it down based on the ethics of the company overall. But of course (I’m saying this with my best French accent) 😉 the ones that make it through are the ones with the most style. If I wouldn’t put my own child in it, I won’t carry it. A lot of the products were pretty easy to choose because I already had used them and could attest to their quality. Besides those products, for everything else I carry from clothing to cribs (I’ve actually never owned a crib, haha) I do all my research online. I joke to others that I am probably the only buyer in history who has never been to “market”. I couldn’t afford to travel. haha So for the most part, it’s really just been me and my gut feeling when I see things online. At times I ask my hubby and kids what they think of certain collections. I like to see what lights up my kids eyes too! Besides the organic Theo chocolate that I am supposed to be selling but gobble up every day? hehe Umm let’s see. I am all about the Fall sweaters right now. That would have to be Mini Rodini’s leopard sweater, Mini Rodini’s white with red hearts sweater and Mini Rodini’s fox sweater(ALL of which, I might add are amazingly soft which is a huge feat for kids sweaters!). I can’t pick just 3 though! haha I would be remiss if I didn’t mention Bobo Choses. I truly love the creamy muted colors and shades of their Fall collection. 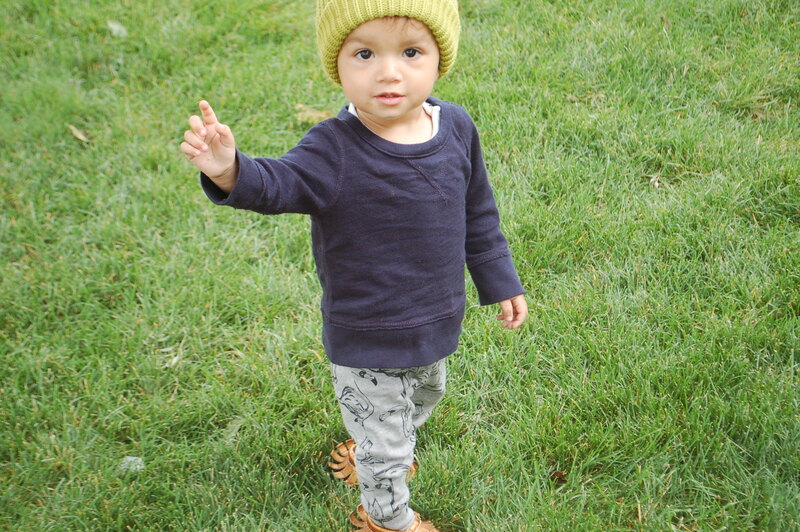 I love Bobo Choses umbrella sweatshirt and super soft tops with hat and guitar prints. Love, love Fall accessories such as knitted hats, woven scarves and suede boots like the ones from Bobo Choses. So many varied textures to play with in Fall! But in general I love the trend of gender neutral clothing since it’s just so practical for families especially when you are spending a pretty penny on certain pieces. You definitely will get your money’s worth when more than one child gets to wear it! 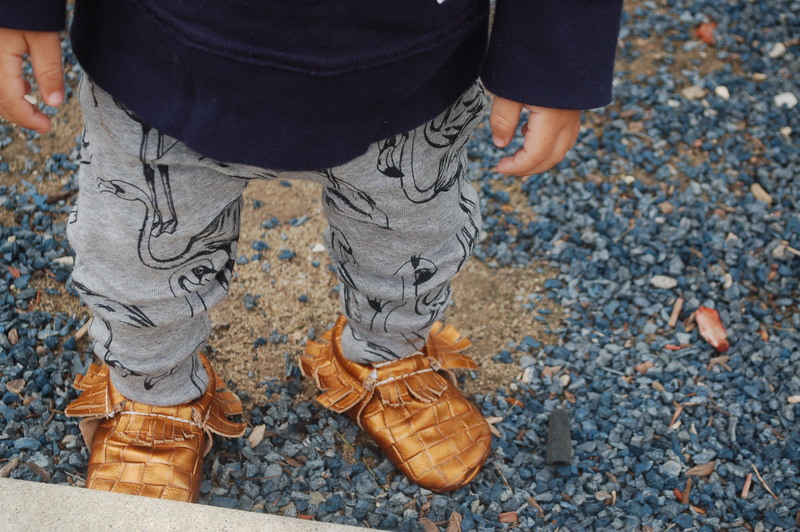 The one item I was searching for one her site are these Mini Rodini Flamingo leggings! OMG! Right amazing! I love them. They are so soft. I want a pair for myself LOL. This is my first Mini Rodini item and it was worth every penny. These will last us a while so I am so glad that I decided to get them!